Pallet wood recycling is my passion. Ever since I was looking for some domestic projects related to wood, I was compelled to switch towards the wooden pallet recycling. 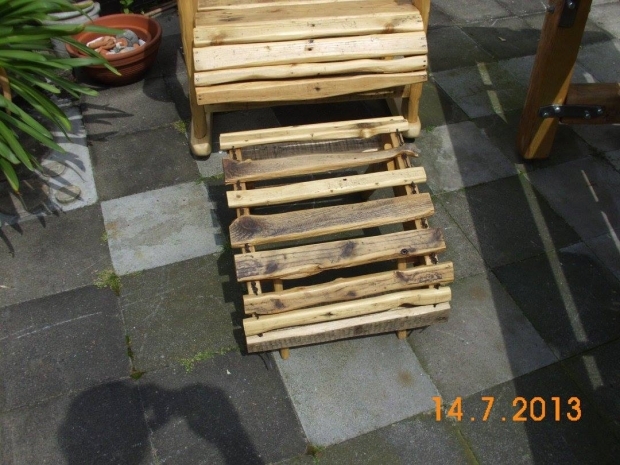 And the reason behind this was the easy availability and cheap cost of wooden pallets. I was never aware that these useless wooden pallets lying in my backyard are going to turn so precious for me one day. 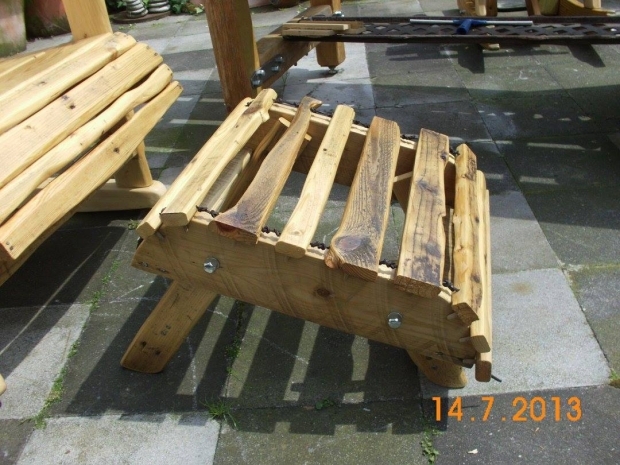 This whole website is all about wooden pallet recycling ideas. 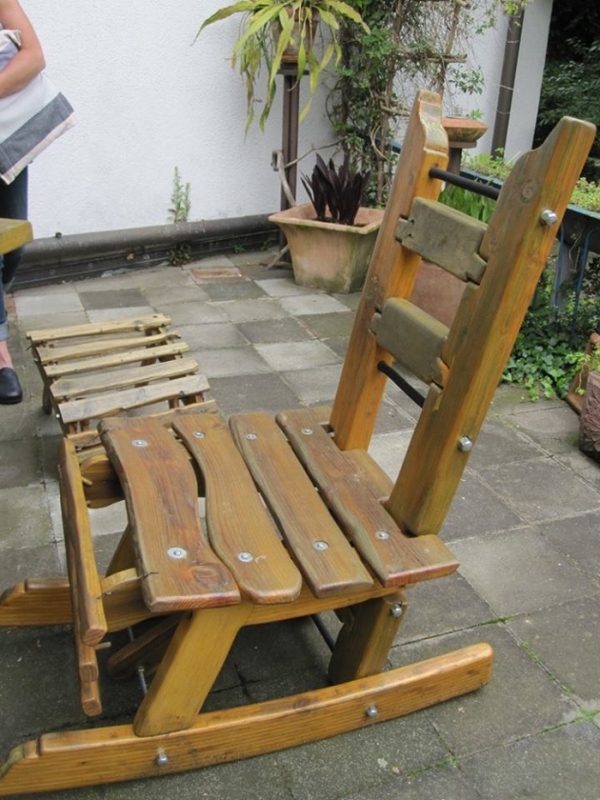 Today we are offering some cute and stunning pallet made patio chair ideas with you folks. Hope you would love making them. 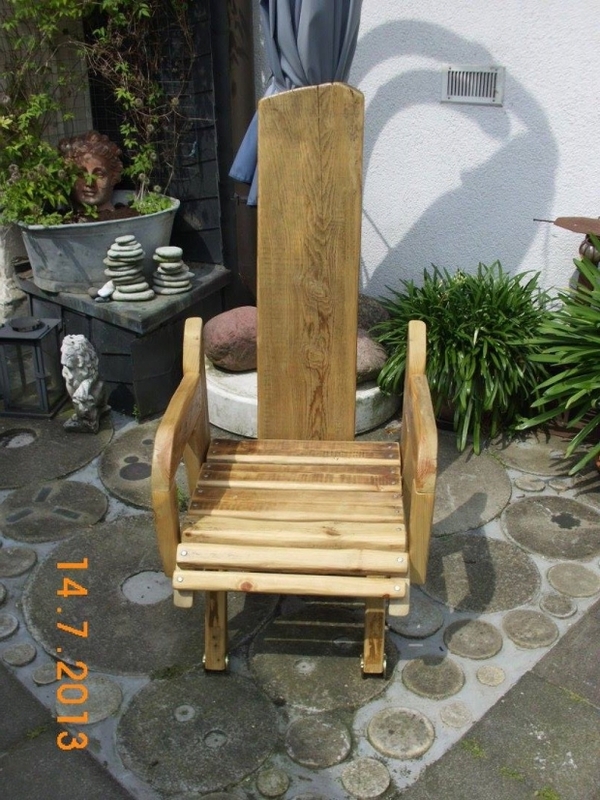 First of all have a look on this unique patio chair with foot rests. Patios are a portion of well built house where you spend some of the most quality moments of your daily time when you are screwed up with the work fatigue and want to relax. 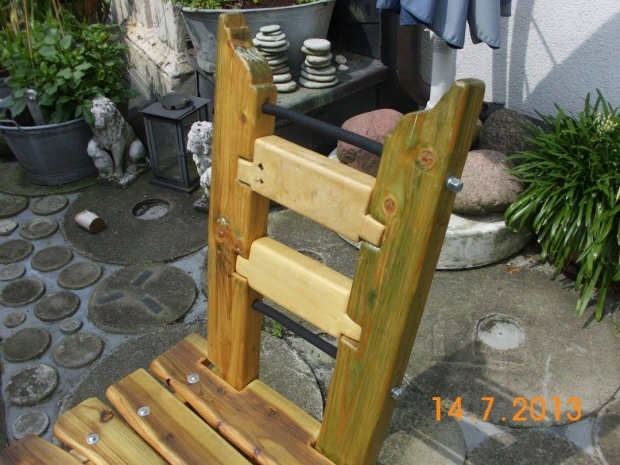 So the moment you have decided to spend time in your patio you really need a comfortable piece of wooden pallet furniture item, where you don’t just get tired. Have a closer look on this stunning chair for patio with a unique foot rest, this foot rest is a separate entity made matching with the patio chair to give you all the ease and comfort. A comfortable easy swinging or rolling chair has always been my priority. I just love to sit on it while watching TV or reading my favorite novel. 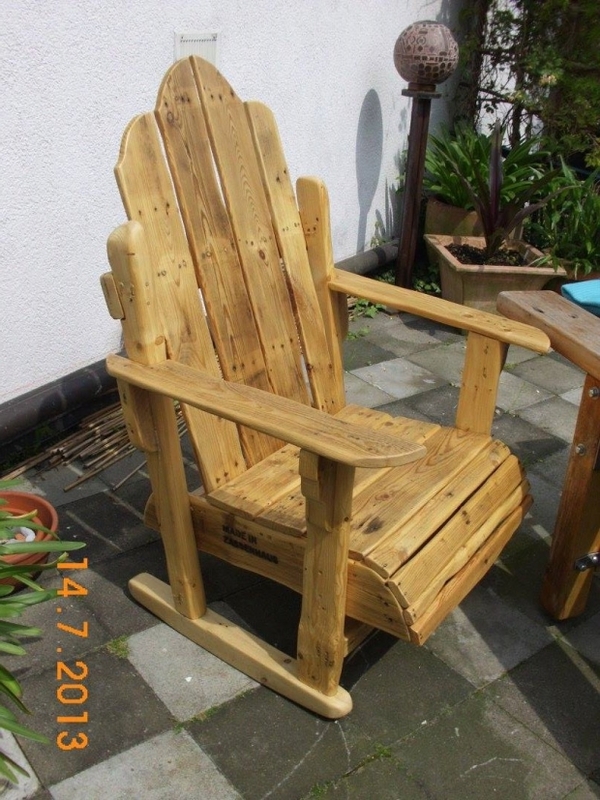 So this pallet wood rolling patio chair could be a fantasy for any pallet crafter. Look at its adorable design and shape, the lower pallet planks are made in a gently curved shape to keep the chair rotating with a gentler push. The back seat is pretty comfortable for longer spells, the front curve is quite comfortable as well. 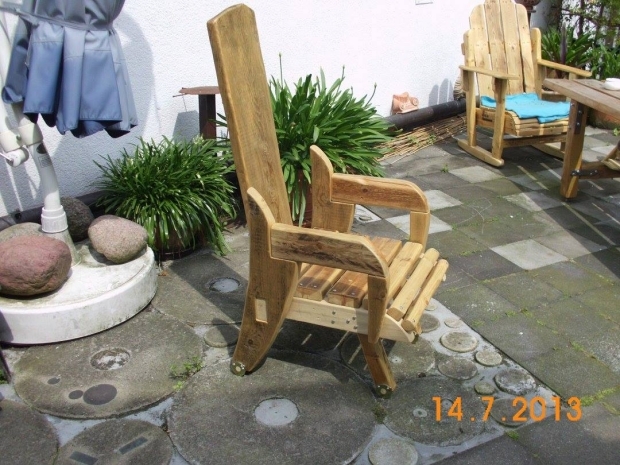 And the next stunning patio chair made using the same wooden pallets is a hallmark, this could literally be named a s the master piece. Look at its royal design, deems to be made for some king. Huge sitting seat, comfortable and stylish arm rests, and a huge and long back support, this is just pretty awesome. 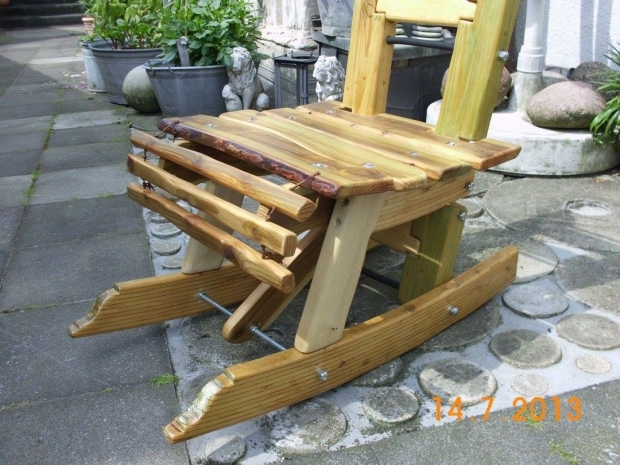 Here we present you the side look of the patio chair we showed earlier. This is just to show you that how smartly it is designed, the seating pallet planks are very well rounded off, the base planks curved are having a stylish frontal design, and the robust metallic screws are ensuring its durability. 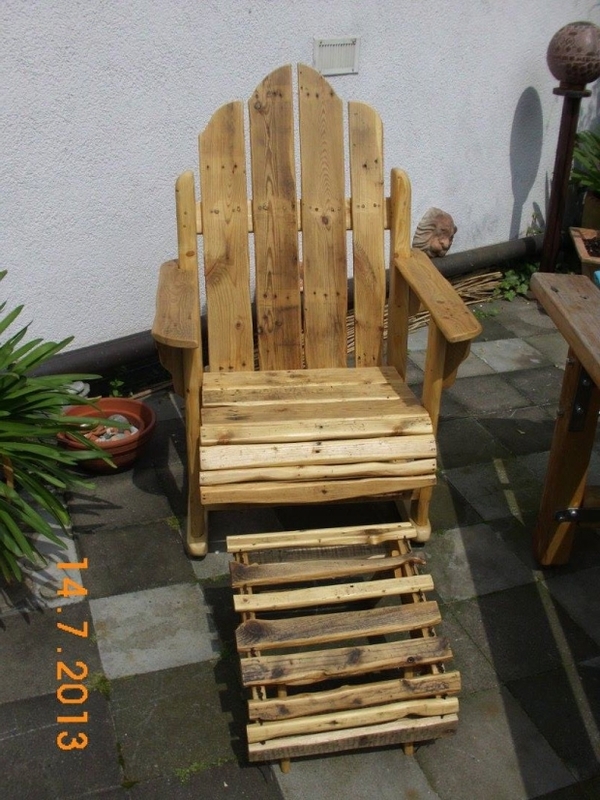 Here again we show you the side look of another patio pallet made chair discussed earlier. As we said earlier that its royal look isn’t less than a fantasy for all the wooden pallet lovers and crafters. Its complimentary look is an encouragement for the crafters, and a best remedy for your patio sitting issue. 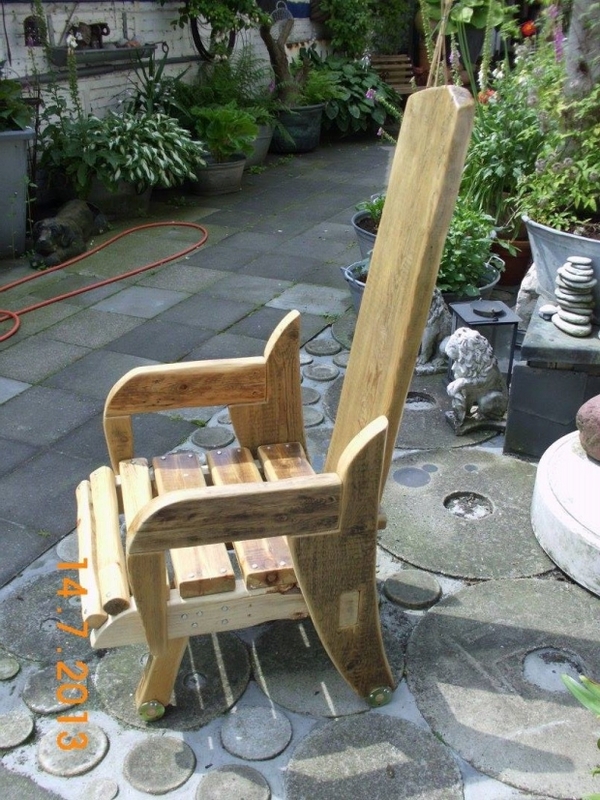 And lastly the first discussed pallet wood patio chair having a separate foot rest. Its sitting space is huge, arm rests are exceptionally comfortable, and the frontal slope is quite compatible with your legs. All of these stunning patio chairs are worth a try.